I’ve given lectures on lepidoptera before. There are between 200-3500 envenomations from lonomia spp reported every year in Brazil, but they’ve increased yearly since 2000. This is most likely from increased time in the rain forest by loggers and people recreating, but it was originally described in rubber tree tappers. The giant silkworm moth caterpillar is particularly noted, because they’re the only one reported to cause hemorrhagic syndromes and acute renal insufficiency. The envenomation syndrome is severe enough that fatalities were noted prior to creation of antivenom in Brazil. Thankfully, this case report doesn’t involve a fatality. What it does involve is the basis of the article, namely delayed presentation. The patient was envenomated, and 24 hours later noticed bleeding from his gums and his other scratches. He waited another 3 days to present for medical treatment. Thankfully, as if it was a snake, the patient brought some caterpillars with him to be identified as Lonomia spp. Initial labs showed “blood incoagulability”, which meant that it was outside the range of normal values of prothrombin activity and clotting times. These values changed ever so slightly by day 6, and on day 8 the patient had a headache, so he was finally treated with antivenom. Thankfully the CT of his head did not show intracranial hemorrhaging. His clotting time returned to normal after antivenom, and he was discharged on day 12. The venom appears to be a procoagulant that causes thrombin formation, leading to DIC via prothrombin and factor X activators. Due to the moth larval stage living in colonies, often the venom load in the patient is high as the injury is usually from either stepping on or puttting their hand on multiple individual caterpillars. The antivenom is of equine origin, and is an F(ab)2 product. It’s only recommended for moderate and severe cases, such as the one mentioned in the case report. There’s not a significant amount of evidence for premedication, it is common in Brazil to give antihistamines and steroids. Of note, while there is danger of misidentification of the condition in Brazil, where it is at least heard of if not common, the risk is even greater in the returning traveler. This is clear in this fatal case report from Canada in 2008. This doesn’t mean that lonomia envenomation should be at the top of your differential for every coagulopathy, but being aware of it may help with those future zebras that come up in travelers. And you should especially be knowledgeable about it if you practice in Brazil. Severe Hemorrhagic Syndrome After Lonomia Caterpillar Envenomation in the Western Brazilian Amazon: How Many More Cases Are There? Mosquitoes. Mozzies. Whatever name you want to use for them, they’re a nuisance to you when you’re outdoors. And even worse, if you are in certain areas, they can transmit a large number of serious diseases. So which repellent is best? While I covered botanical mosquito repellents previously, this review article examines the products most of us think of when someone mentions mozzie spray. At 38 pages, this is no light read. It’s certainly more words on mosquitoes than I’ve ever read in one sitting. But it’s full of interesting information, both trivial and applicable. For instance, did you know that the US Army had the patent on DEET for a full 11 years before they allowed civilian use? As detailed in the article, not only are there several species of mosquitoes, there are also several formulations of repellent, and even seemingly minor things such as local weather patterns that can affect how long any particular product will work. Something as simple as wearing dark clothing can attract biters as they are able to see you better. Carbon dioxide, lactic acid, carboxylic acids, and even sweat will also attract mosquitoes, as their olfactory receptors are keen on these smells. Using specific search strings, the authors found 1417(! )articles between 2000 and 2012, and they further pared this down to 102 when they only included repellent efficacy on human skin. The main repellents studied were DEET, Insect Repellent 3535, Icaridin (Picaridin), and Citriodora. DEET, being the gold standard, is often what others are compared against. If you want to repel mosquitoes, a high concentration DEET product (20-25%) has the greatest repellency against all species, and conveniently it lasts the longest. It is clearly the most effective at repelling Aedes spp. Of note, in their data, they found that going over 25% DEET doesn’t offer greater protection against Aedes spp., but it does have longer repellency against Anopheles spp. Of note, it also has the most side effects, up to and including neuro- and cardiotoxicity. 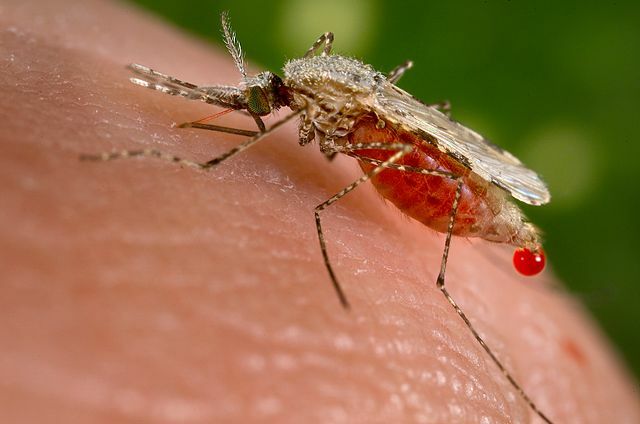 IR3535 at concentrations of 10-20% works against most mosquitoes, but puzzlingly loses some efficacy against Anopheles at higher concentrations. Icaridin is also effective at 10-20%. Using IR3535 or Icaridin is reasonable, especially if you want to wear anything that DEET can destroy, such as rayon, spandex, vinyl, plastic, or even leather. Citriodora (lemon scented eucalyptus extract) is useful when applied as a cream, but is ineffective when used as just the essential oil. Speaking of essential oils and other “natural repellents”, these authors actually looked at a fair amount of studies, and found that some really are effective. These include catmint oil and rosemary, among others. And to really mess with you, adding 5% vanillin to anything, synthetic or natural, makes it more effective. However, most are fairly volatile and short-lived. Sorry I couldn’t give you more ammo against certain Facebook users. The authors also included tick (Ixodes) repellent efficacy in this article, but found the data wanting. DEET, IR3535, and Icaridin all seem effective, but it isn’t conclusive. Are you using the heel hook? Should you?